All the medal winners at the just ended All Africa Games (AAG), will be made “Special Guests” at the 40th MTN-SWAG Awards fixed for October 3, 2015 at the Banquet Hall State House, Accra. The medal winners will be given VIP treatments such as specially designated tables and special standing ovation during the longest running sports event in Ghana. 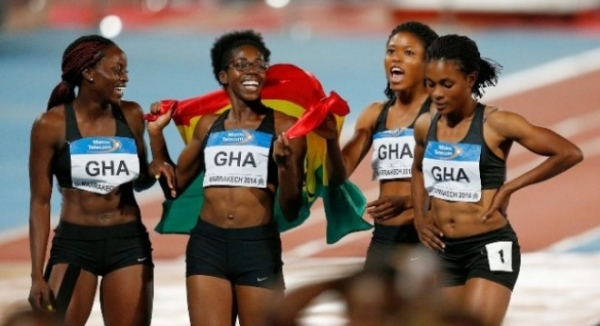 A statement from the secretariat of the Association said, the decision to grant the distinguished athletes the special treatment was in recognition of their outstanding performance at the competition which ensured Ghana picked a respectable place on the medal table, despite organisational and financial challenges. According to the statement, the medal winners will definitely be dominant in the next batch of award winners to be released in December ahead of the 41st edition of the longest running sports awards in Ghana. It noted that, athletes who will be honoured at the 40th Edition are those who excelled in 2014 and assured the medal winners that they will be given special recognition at the next event, early next year. The statement however congratulated the award winners for their sterling performance in the face of the challenges confronted by Team Ghana ahead of the competition. It said, though it was tough for Ghana at the early stages of the competition, the athletes came in strongly in the later stages to save the nation the embarrassing spectacle of coming back to Ghana without a medal. The statement called on the Ministry of Youth and Sports and the National Sports Authority (NSA) to ensure that, the outstanding athletes are given their due as soon as possible. Ghana won 19 medals at the just ended competition. The 40th MTN-SWAG Awards confer honours 25 sports men and women, who excelled in the year 2014. The event will be headlined by communication giants MTN and Activa International Insurance.